On my journey to better skin, I have been putting many new products to the test. Although I do not break out nearly as much as I used to, I still get the occasional uninvited spots. Whereas I would let my problematic skin define me for years, I've learned to accept that I am more than just my skin. Yes, makeup is always there to help, but I now feel more confident than ever without it. 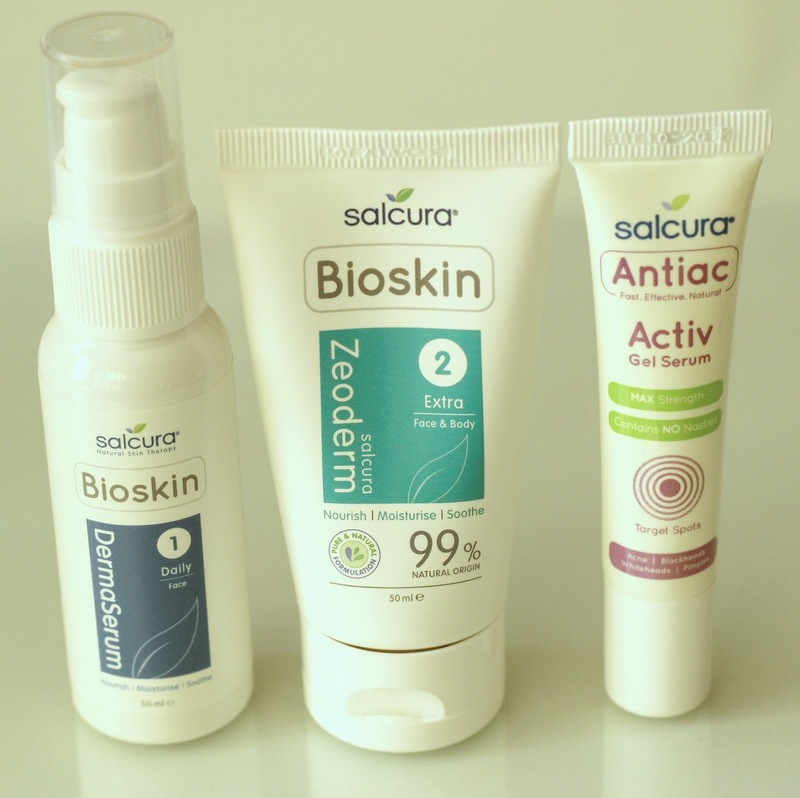 Recently, I have been incorporating a handful of natural products into my routine which have significantly improved my complexion, including some by British brand Salcura , namely their Bioskin DermaSerum*, Bioskin Zeoderm* and their Antiac Activ Gel Serum*. Skin friendly products? Of course I had to share! 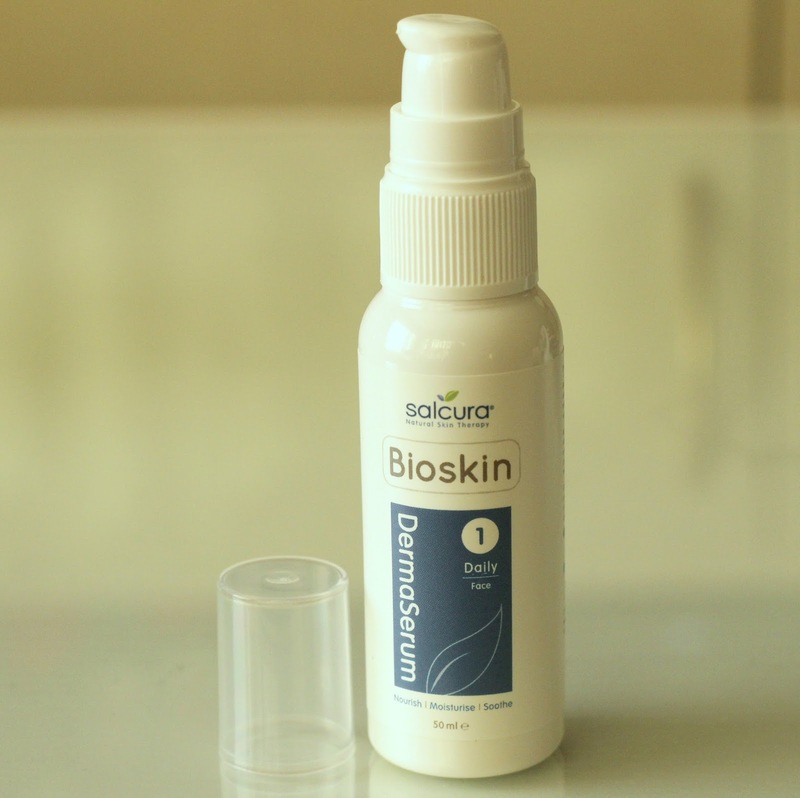 The Bioskin range targets dry skin, something I've been dealing with for a while now. The DermaSerum is a light moisturizer that I enjoy using every morning. Equipped with a pump dispenser, this gel serum has a very potent herbal scent, with 98% of ingredients being of natural origin. The eucalyptus, peppermint and tea tree oils really come through, however this stuff is loaded with a bunch more skin-nourishing ingredients including sunflower, safflower, sea buckthorn, lavender and orange oils and rosemary and pine leaf extracts. I am not surprised my skin has been loving this serum considering how rich the formulation is! 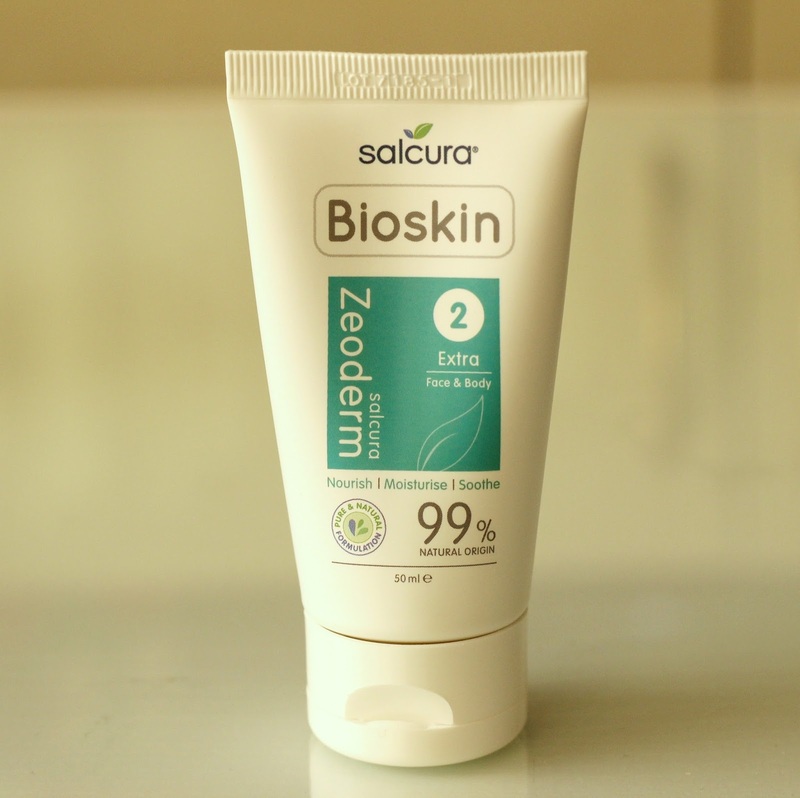 At night, I've been applying Bioskin Zeoderm, a slightly thicker cream on my face and the dry areas of my body. This one really targets severe dryness, and paired with the serum has been shown to help treat more severe skin conditions such as eczema, psoriasis and dermatitis. This blend consists of a variety of soothing oils, namely linseed, olive, starflower, castor, jojoba, lavender, rose geranium and damask rose. I've been using it on my dry elbows and ankles after showering to lock in the moisture and my skin is not nearly as dry in those areas. 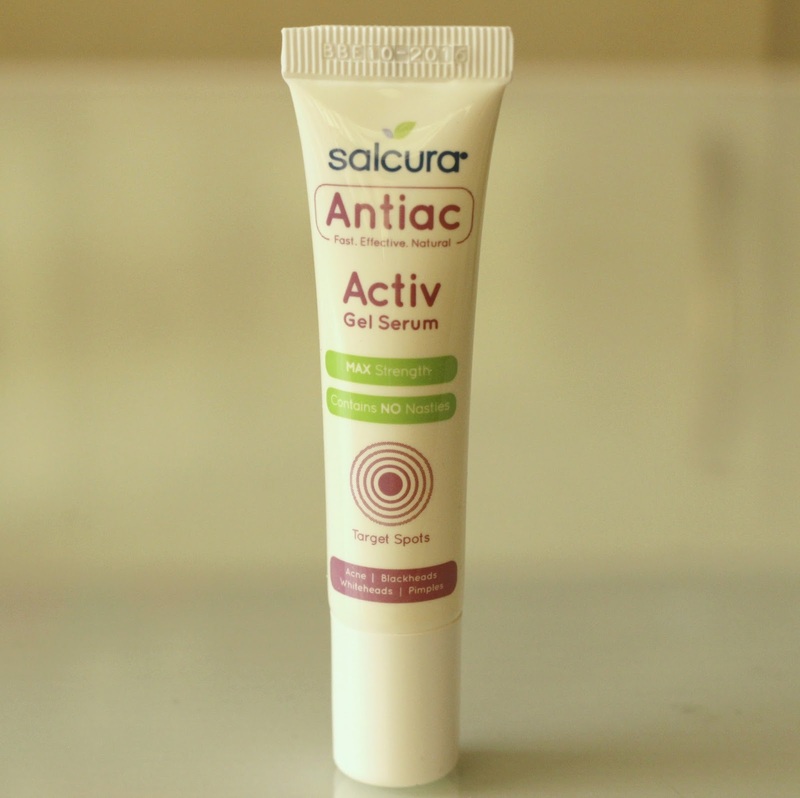 Lastly, my favourite of the bunch has been the Antiac Activ Gel Serum. This zit-zapper is some very powerful stuff! Free of harmful chemicals, it stars three acne fighting hero ingredients, namely rosemary, tea tree and aloe vera, known to tone, soothe and reduce inflammation. This treats both existing breakouts and also stops new ones from rising to the surface. The claim is that in four hours you will see visible results, and in my case that is very accurate. Applied at night, I've been waking up with some of the clearest skin I've had in months! For more information, you can visit the Salcura website. Do you use natural products in your routine? All three of these sound absolutely amazing! I'm not sure which of them intrigues me the most. I just want to put them all on my face. Thanks for sharing - I'm going to look into the brand now! 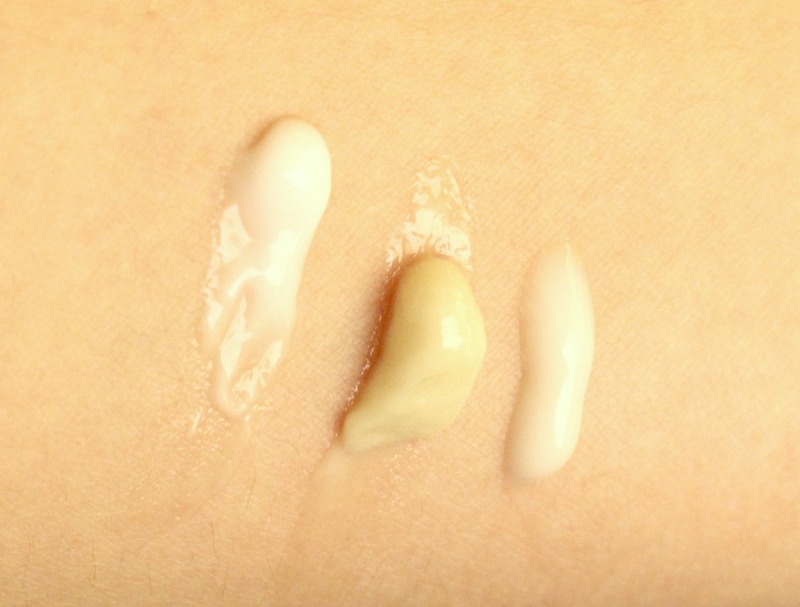 Many of us have tried a new skincare product and the outcome wasn't pretty. Trying to figure out what happened is incredibly confusing because the list of whys is long and complicated. Thanks for sharing such an interesting information.